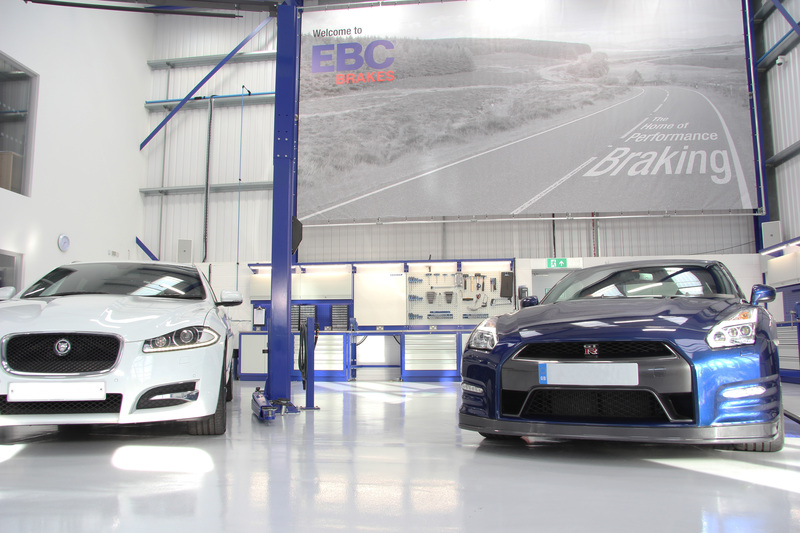 Welcome to EBC Brakes Direct Ltd. Unless otherwise defined in this Privacy Pollicy, terms used have the same meaning as in the Terms. 1.2 If you have any questions about your personal information, please get in touch via the "Contact Us" page. 3.1 When you access the Website via any means, use the Content, register or make a purchase through the Website, we may collect, store and use certain of your personal information in line with this policy. We may also ask you for information when you report a problem with the Website or the Content. 3.2 To register or make a purchase on the Website, we ask for your name and email address. For delivery purposes you may also provide your address. When you make a purchase, our payment service provider will also collect and process your credit card or other payment details. If you contact us, we may also keep a record of that correspondence. 3.3 We may also collect data relating to your visits to the Website that cannot identify you but records your use of our Website Content including, for example, details of how long you have used the Website and the Content for. 3.4 We may also collect your computer's IP address in order to help us tailor the service to your location. 8. 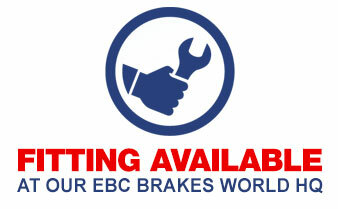 (h) to contact you in order to invite you to share your opinions and experiences of EBC Brakes Direct Ltd.
5.1 All information is stored on our secure servers. When you register, we will ask you to choose a password which enables you to access your "My Garage" account. You are responsible for keeping this password confidential. We ask you not to share this password with anyone. 5.2 In addition, we (or third parties acting on our behalf) may also store or process information that we collect about you in countries outside the European Economic Area, which may have lower standards of data protection. Specifically, servers used by our Website are located in Ireland and our third party service providers operate around the world. We have put in place technical and organisational security measures to prevent the loss or unauthorised access of your personal information. However, whilst we have used our best efforts to ensure the security of your data, please be aware that we cannot guarantee the security of information transmitted over the Internet. 6.1 Our legal basis for collecting and using the personal information described above will depend on the personal information concerned and the specific context in which we collect it. 6.2 However, we will normally collect personal information from you only (i) where we have your consent to do so, (ii) where we need the personal information to perform a contract with you, or (iii) where the processing is in our legitimate interests and not overridden by your rights. In some cases, we may also have a legal obligation to collect personal information from you. 6.3 If we ask you to provide personal information to comply with a legal requirement or to perform a contract with you, we will make this clear at the relevant time and advise you whether the provision of your personal information is mandatory or not (as well as the possible consequences if you do not provide your information). 6.4 Similarly, if we collect and use your personal information in reliance on our legitimate interests (or those of any third party), we will make clear to you at the relevant time what those legitimate interests are. These suppliers' use of your personal data may be subject to their own privacy policies, which are available on their websites, and which we suggest you familiarise yourself with in the relevant circumstances set out above. 5. (e) if we are under a duty to disclose or share your information in order to comply with any legal obligation, or in order to enforce or apply our Terms and other agreements; or to protect our rights, property, or safety, our users, or others. This includes exchanging information with other companies and organisations for the purposes of fraud protection and credit risk reduction. 8.1 We retain personal information we collect from you where we have an ongoing legitimate business need to do so (for example, to provide you with a service you have requested or to comply with applicable legal, tax or accounting requirements). 8.2 When we have no ongoing legitimate business need to process your personal information, we will either delete or anonymise it or, if this is not possible (for example, because your personal information has been stored in backup archives), then we will securely store your personal information and isolate it from any further processing until deletion is possible. 1. You can edit your personal details via your "My Garage" account whenever you wish. We maintain a procedure in order to help you confirm that your personal information remains correct and up-to-date or choose whether or not you wish to receive material from us or some of our partners. 2. In addition, you can object to processing of your personal information, ask us to restrict processing of your personal information or request portability of your personal information. Again, you can exercise these rights by contacting us using the contact details provided under the "Contacting EBC Brakes Direct Ltd" heading below. 3. You may unsubscribe from certain email communications by following the Unsubscribe link in the email communication itself. You may also update your personal information by logging into the Website and visiting your "My Garage" account page. You may also email us at sales@ebcbrakesdirect.com in order to access, correct, delete or update your personal information on our systems. We will answer every email as promptly as possible. 4. Similarly, if we have collected and process your personal information on the basis of your consent, then you can withdraw your consent at any time. Withdrawing your consent will not affect the lawfulness of any processing we conducted prior to your withdrawal, nor will it affect the lawfulness of any processing we conducted prior to your withdrawal, nor will it affect processing of your personal information conducted in reliance on lawful processing grounds other than consent. 5. If you have any privacy-related questions or unresolved problems, you may contact us using the information provided at paragraph 13 below. 7. The Website may, from time to time, contain links to and from the websites of third parties. If you follow the link to any of these websites, please note that these websites have their own privacy policies. Please check these policies before you submit any personal information to these websites. 11.2 For more information about cookies, including further details as to what they are and how to refuse them, please see our Cookies Policy.